A little while back, I put together a piece called 13 Comics to Look Forward to This Summer. (Click here.) And like an idiot, I left RetroFan off the list, because this is something I’ve been waiting for since it was announced. Then again, it’s not a comic at all. It’s Michael Eury’s next TwoMorrows magazine, covering all sorts of old-school pop-culture angles, from the wildly popular to the obscure. I’ve thumbed through the first issue, which comes out 6/20, and I gotta tell you it’s superb. It covers exactly the kind of ground I like to hit here at 13th Dimension but in quarterly magazine form. 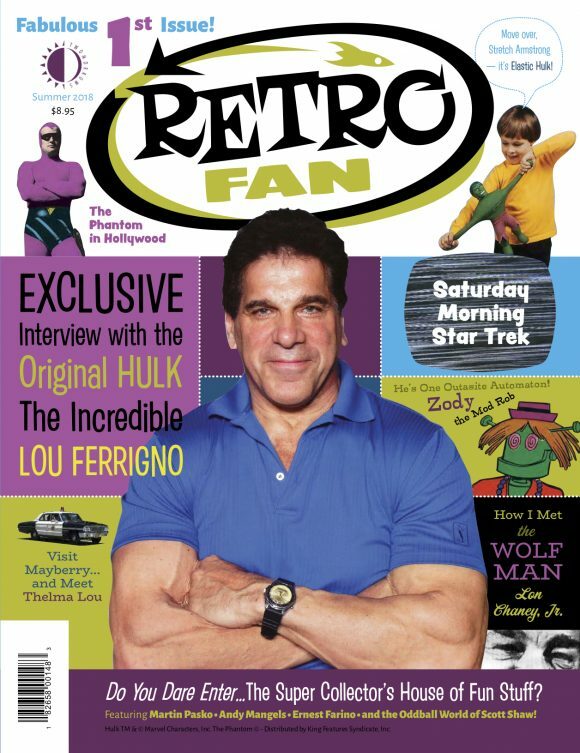 Anyway, we like to do our EXCLUSIVE excerpts from TwoMorrows’ excellent mags (Back Issue and Alter Ego among them), so for our initial RetroFan pick, we’re going right for the cover story, a Q&A with Lou Ferrigno. Michael Eury: Who were your comic-book heroes when you were a kid? 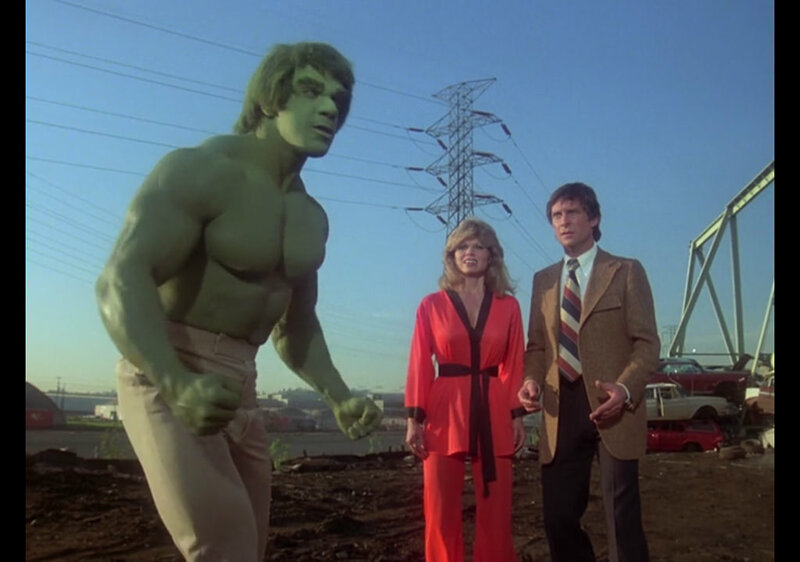 Eury: 1977 is when most of the world got to know you as the Incredible Hulk. How did you get cast in that role? Ferrigno: I was training for the 1977 Olympic competition. They were filming the Hulk with another actor, Richard Kiel, who played Jaws in James Bond. He’s seven feet tall. 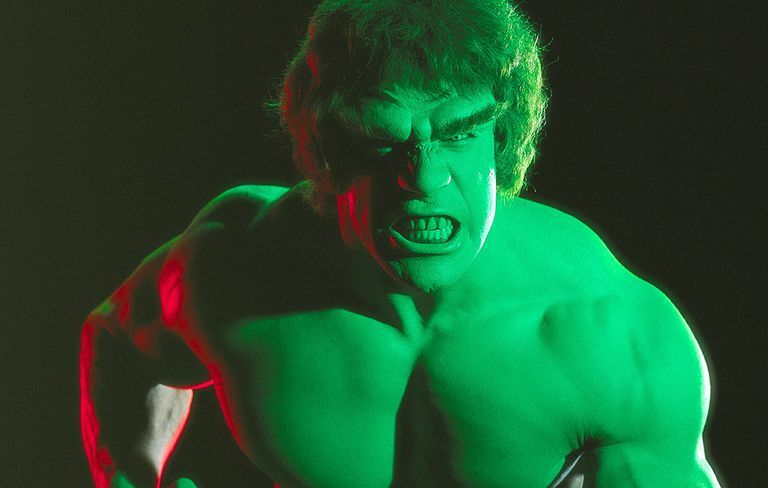 One day, the director came on set with his son and the kid said, “Dad, this is not the Incredible Hulk—he doesn’t look anything like the character.” They realized they had a problem and began a nationwide search for the character. They found me, because they wanted the biggest bodybuilder they could find. I went out for the screen test and they said, “OK, we’re going to paint you green.” I said, “What? !” Then I looked at my watch and said, “I’ve got a plane to catch,” so they compensated me for my time and painted me green. I’m standing in front of the camera [getting up to show the crowd] and they told me to “be like the Hulk,” so I was the Hulk [moving his body around on stage like the Hulk]… and they hired me that day! The next day, I was in makeup for, like, 12 to 14 hours, and I looked in the mirror at myself and thought, “What am I doing here?” I saw the white eyes and green teeth. The rest is history. When I first began filming, people didn’t know who I was, but once the show was out, everything changed. It was a big decision for me because I wanted to win the 1977 Mr. Olympia, but I chose the Hulk. I guess I made the best decision. Eury: You wore the makeup for 12 to 14 hours for the shoot, but how long did it take to get into the Hulk makeup? Ferrigno: It took about three-and-a-half to four hours to put on because back then, we didn’t have the spray-on method. They had a ball of clay that they would run on. The face took about an hour-and-a-half. I would be the first one on the set. I had a custom shower built in my motor home because every time I would take a shower, the motor home would be covered with green paint. I had two makeup guys who would scrub the makeup off my back. Sometimes I’d leave the set at 2 a.m., because I’d be filming 12–14 hours a day and then have to endure pain because I would have to be re-touched during the day. It was extremely uncomfortable. Eury: It wasn’t just the green paint on your body, didn’t you also have an application on your forehead and fake teeth? 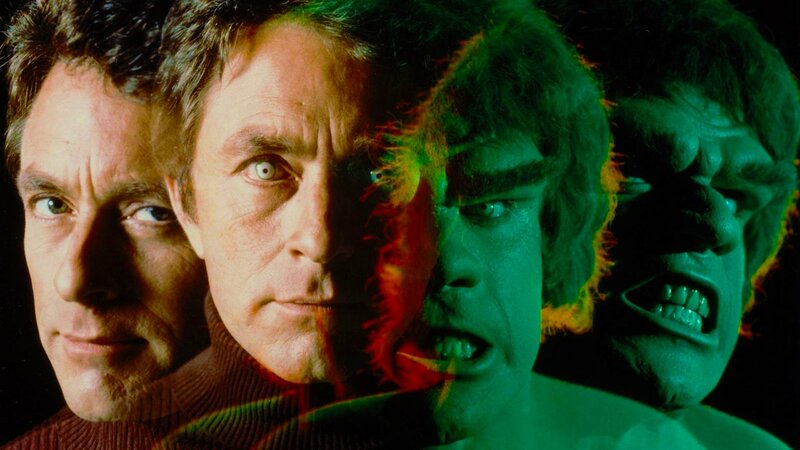 Ferrigno: Yeah, I had a fake forehead and nosepiece and teeth. I also had contact lenses that I could only wear for 15 minutes at a time. These were not like contacts today—they were hard, and were very uncomfortable. Now you can wear contacts for 10 hours. Eury: Any adverse reactions to the makeup? Ferrigno: No, except my toenails were green for six months afterwards. Eury: Tell me about Bill Bixby. We see him on TV and he seems like the nicest guy in the world. I guess you didn’t really work with him in front of the camera, though, because you both played the same guy. Ferrigno: We did have a dream sequence together. Bill was a wonderful actor and producer. I grew up watching him on My Favorite Martian and The Courtship of Eddie’s Father. I learned a lot from him, watching how he filmed, watching his dialogue. He was a great mentor. 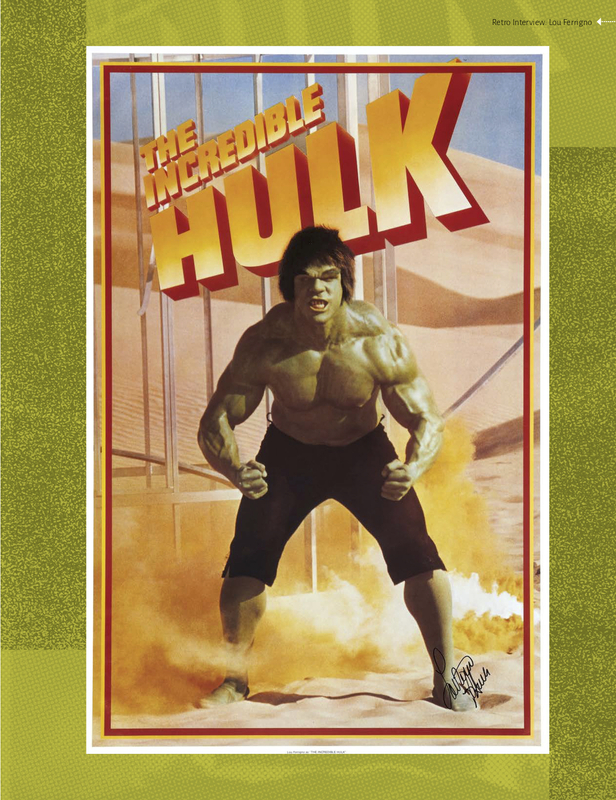 Eury: What’s the weirdest thing that happened to you when you were doing The Incredible Hulk? Ferrigno: I was in my motor home, all made up, and there was a knock on the door [knocking on table]. “Come in.” He knocked again. “Come in.” A guy comes in and I can kind of see him out of the corner of my eye—he has gray hair and glasses. I turn around and see a famous movie actor—Cary Grant. He asked if he could take a picture with me. I was so surprised I couldn’t say a word… I just looked at him and nodded. That was a great moment, because I realized that the Hulk was so beloved by everyone. 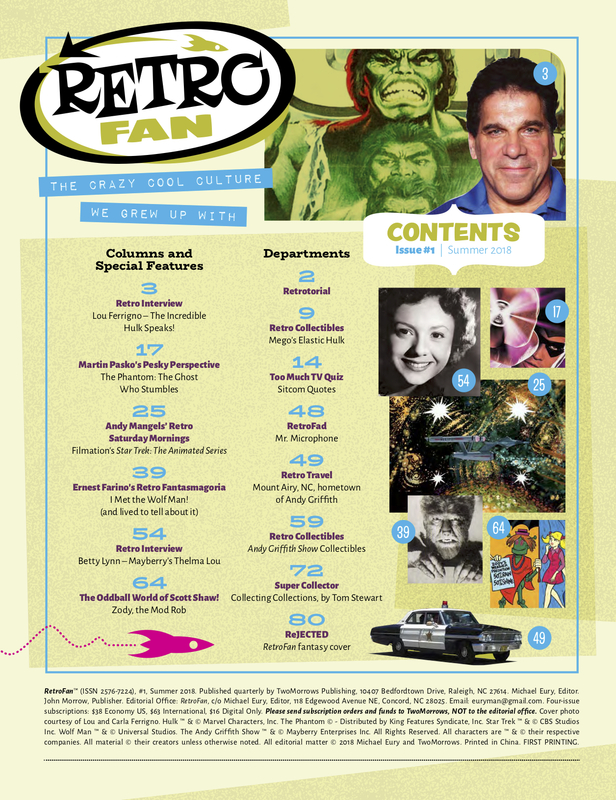 The covered a lot of other ground, so by all means pick up the first issue of RetroFan to check out the whole thing – not to mention the other cool features in the issue. I was lucky enough to meet him at one of the last ChicagoComicons I bothered to go to. He was off to the side with some of Trek stars (TOS characters). They had lines but no one was at his table. We got to talk for several minutes, I got his autobiography signed (“My Life As The Incredible Hulk”) and found him to be a really warm, friendly man. This was 30 years after the show ended but he could’ve put on the Hulk makeup then & still out-Hulked the then-recent Ang Lee movie. I even told him that, while I loved the Hulk trashing tanks & helicopters in the movie, it didn’t have near the heart & soul of his series. He stood up and grabbed my hand to shake. A wonderful memory for me. Even if my hand disappeared into his like my nephew’s into mine when he was a kid! I’ve met Robert Shayne (Inspector Henderson) a few years before he passed and Kirk Alyn several years before his passing – both wonderfully friendly men – but Mr Ferrigno was one I will never forget.